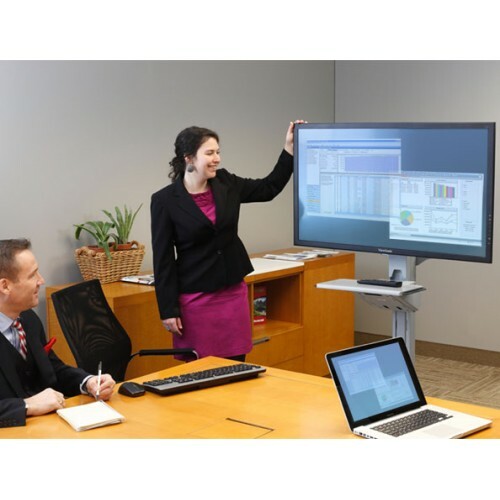 Widen your view—and move it too! 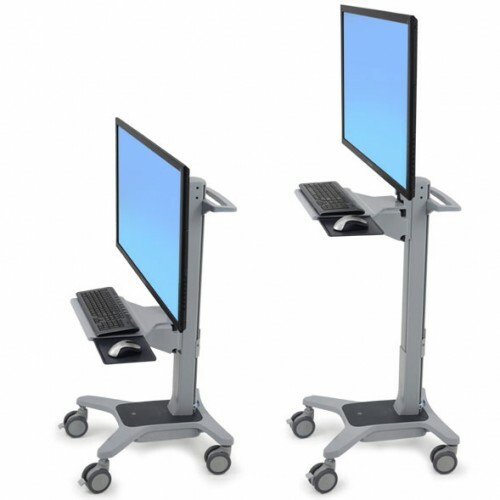 Configure this compact, height-adjustable computer cart to your needs: Flexible open architecture supports a wide range of displays and a fleet of accessories. 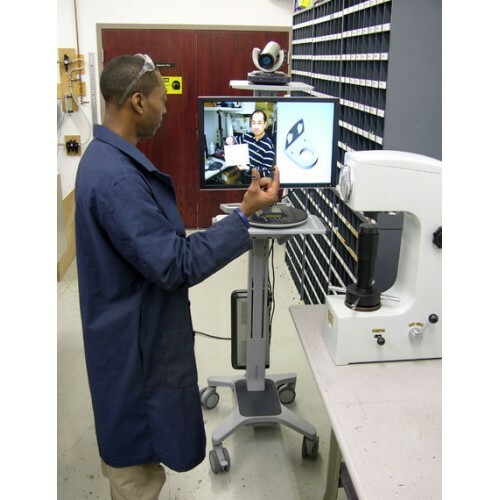 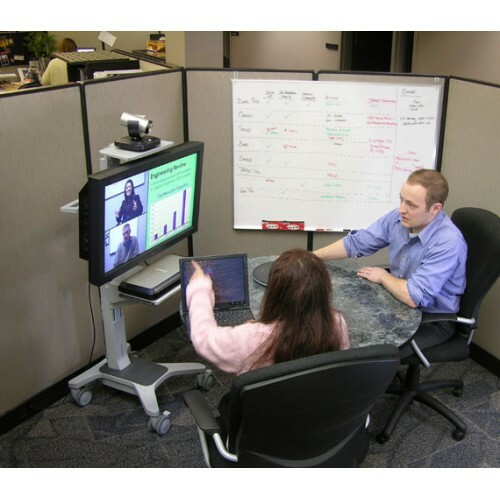 With the optional separately ordered Camera Shelf accessory, it’s perfect for web conferencing or other image-intensive applications like telemedicine. 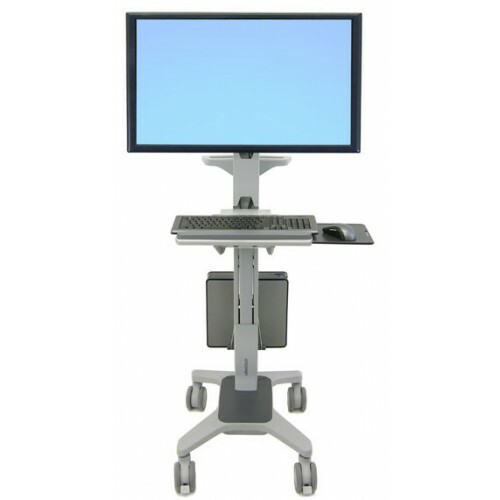 Features include 20" (51 cm) height adjustment (work sitting or standing), small footprint and advanced cable management. 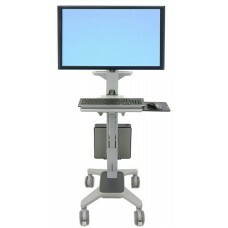 Pedestal de piso con ruedas para pantallas grandes hasta de 60"